This is similar to last year, only now we have added School Psychologists to the list. As you can see, Ohio has a shortage across the board. The shortages are also impacting schools ability to attract substitute teachers. Training parents to serve as elementary substitutes for purposes of providing time for professional development for teachers. Providing a day of training to anyone with a B.A. degree who wants to substitute. Hiring a couple of long-term substitutes at the high school level, paying them on base salary, and providing benefits after a number of days. Substitutes are assigned to a different classroom every day. 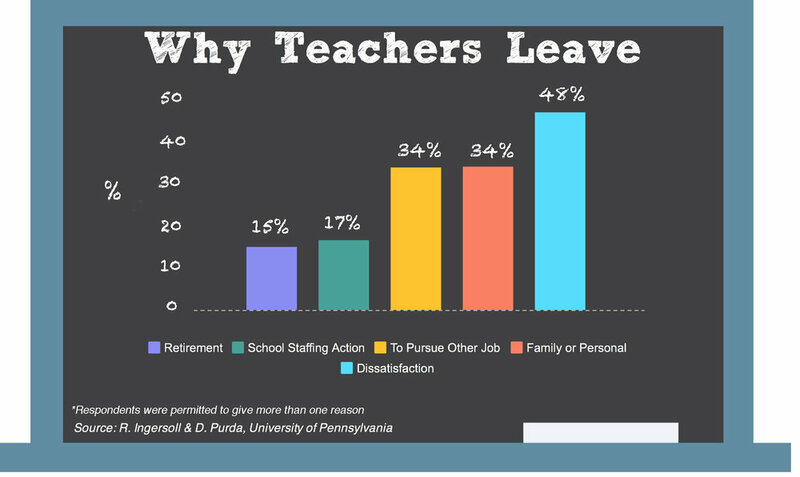 Paying teachers to substitute during their planning time or increasing the pay (all through bargaining). Improving pay and shortening the number of days before a substitute gets to the salary schedule. Having a dollar scale that increases each day the substitute returns to the district. Pulling resource teachers (Title teachers, special education teachers) from their assignments and sending them into the classrooms. Special education students are then not serviced for the day. Locals have fought this in the past by bargaining regular teachers' planning time within the student day--which is during special time--which prevents the district from using the music, physical education, and art teachers. Bargaining with the local to hire permanent substitutes at every level if funding is available, and paying them an hourly rate. They are not part of the bargaining unit. Recruiting local people with degrees and providing training on substituting practices and teaching. 10. Creating a substitute "pool" from which all schools draw substitutes. Asking teachers to volunteer planning periods to cover classes. Offering to raise the hourly pay rate for teachers who substitute during their prep time (also completely voluntary) at rates from $15 to $22 per period. Giving substitutes bonus money ($200-$300) after they have substituted for 30 days. In a county where teaching jobs are hard to get, the district invites new and soon-to-graduate education students to an event where they are given information and an informal interview. Then, the district explains the need for substitutes. Many of these prospective teachers agree to be casual substitutes until a full-time job is available. Initiating a job for a classified person with overtime--a secretary or clerk--who clears all substitute calls. Negotiating contract language that allows teachers to fill in for people at a cost to the district, most are at $15 per class. Introducing progressive attendance bonus provisions. Locals use associate employees to act as full-time substitutes. Asking retired teachers to substitute. $49 lowest, with an increase after 10 days to $52; $75 highest; and the average is $55. Most build in other incentives, e.g., increase after 10-15 days. $60, and after 10 consecutive days, the rate rises to $75. $95 for regular substitutes, and $125 for retirees. This situation isn't sustainable if we are to have high performing schools in all districts. Rebuilding respect for the profession, and imporoving working conditions and support for current educators would go a long way to being to turn things around.